Div1 Edtech in EPSB: Google Expeditions! Virtual Reality in the classroom seems like a far away place, or something that's very expensive, or supremely technical to get into. Teachers are unsure of how to implement it, how to set it up, or how it applies to the curriculum that they're currently teaching. With the Google Expeditions Kit put together by our wonderful friends in District Technology you can bring Virtual Reality to your classroom in a free, very easy to use fashion. 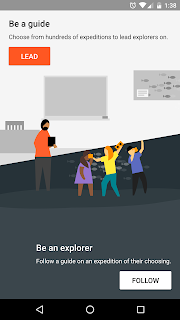 Google Expeditions is a teacher directed Virtual Reality experience using 360° still images to immerse students in different environments and places around the world. 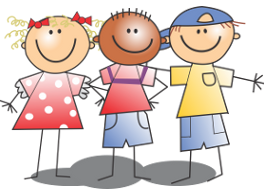 It uses themed images and questions to guide students through different experiences around the world. 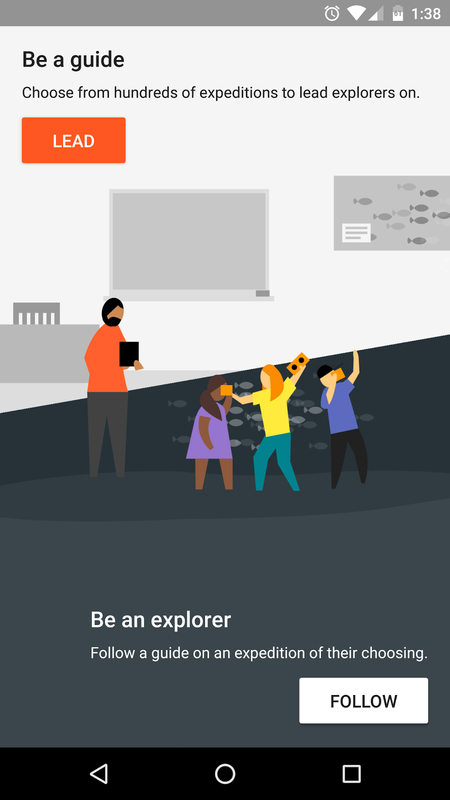 Google Expeditions is an app that works on iOS and Android devices. Expeditions has two sides to the app. There is a "Guide" side, and an "Explorer" side. The Guide will be able to direct the expedition, control whether students will be able to use the viewer, point things out on the screen, and tell how many people are logged on at a time. The Explorers will be able to view the experience on their devices when they are connected. In order to start an Expedition, you'll need all of the devices to be attached to the same WiFi network. (The District kit does this very simply), and then have the Explorers choose "Follow" inside the app. Once they've done that, they're ready to go! Who can run the Expedition? But I had Grade 5 students run the kit and lead Expeditions for Grade 2 classes in our school. The reason a teacher is ideal is that it is a guided process. Guiding questions and pointing out things that you're looking at with your students are very helpful in leading discussion about what is being viewed. As a teacher, there's a little more prep to do ahead of time for this to be successful. There is a listing of all of the Expeditions available, and it's worth a look to try to check some of them out beforehand. Getting the app on your own device could be a good way to preview some of the Expeditions, but if you plan on using the kit from District Tech, they've got a tablet that can be used for this. Once you've figured out which Expedition you'd like to lead your class through, it's time to start. Luckily, there's a start up guide. What benefits are there to using this? This is a great opportunity to talk about different environments and places, how those things affect people, and to see places and things we wouldn't normally see at school. Our kindergarten kids were very excited to see jungles and the animals that lived in them. It is a great opportunity for inquiry based approaches as well, as the expeditions lead well into questioning and getting kids to ask questions about what they're viewing. This is a great opportunity to get to see things that maybe your field trip budget won't allow for, and using the Google Street View app with some of the older kids would allow unguided exploration of some areas, too! (It's worth checking out beforehand). How have other teachers used the kit so far? At Balwin, a lot of teachers used them for guiding younger kids to see things they normally wouldn't. Our junior high students used them to inspire questions about what they were viewing and how it applied to what they're learning. The kit comes with a Theta 360° camera which allows us to take pictures and create content in a unique approach, allowing us to think about and find inquiry based opportunities around us. What problems might we encounter? The most common problem that we encountered was that the devices weren't always on the same WiFi network, which was a quick and easy fix with the router provided. The other thought was that we needed lead time to take a look at the Expeditions and think about how we wanted to apply them. 285 of them is a lot. With our use, there wasn't many problems that we encountered. It was a very straightforward process. In short, Expeditions is a great way to show your students other places or things around the world, and is an amazing way to start a discussion with students of all ages. We'd really like to look at creating content at Balwin, and were very impressed with the experience. Kids were always asking when they could use the kit next. I'd love to hear what people do with the kit as time goes on, and how they've used it to attach to their curriculum.